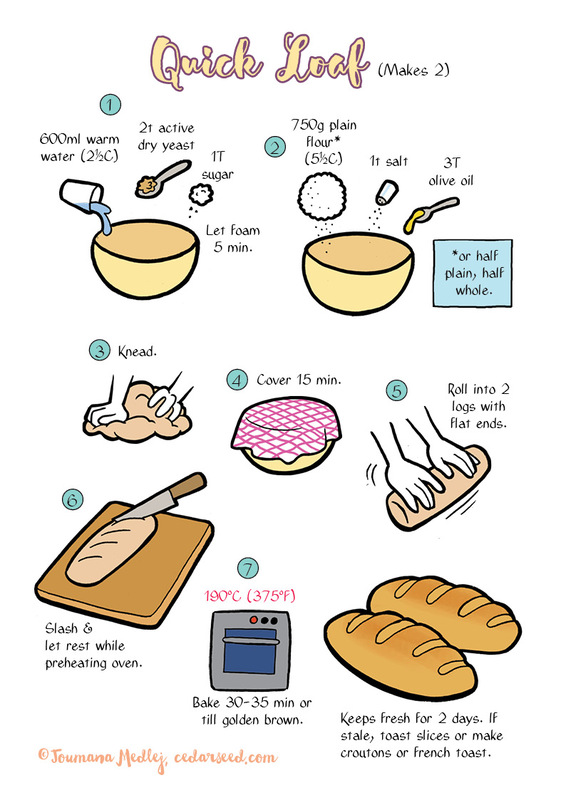 This is a simple and very quick recipe to make surprisingly good bread. The texture is compact so it’s good for slicing and spreading (and toasting), making it handy for a homemade breakfast. The sugar in step 1 is to feed the yeast, it can be substituted with a teaspoon of honey, or if necessary left out altogether.